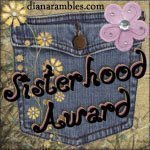 I was nominated for the Sisterhood Award from Insert Book Title Here! 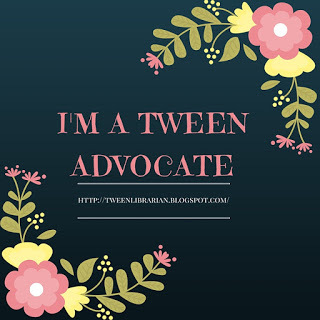 I nominate the following blogs-I have to pick librarians, since we're pretty much a sisterhood of our own :) Plus all these ladies are super nice!! 1. Abby (the) Librarian-I love her reviews. Plus she posts an awesome around the internet post that has all sorts of great links! 2. Cupcake Witch-Great reviews and fun posts and her vlogs always make me laugh. 2. BookSnake Reviews-This a blog I found recently and I'm really enjoying reading BookSnake's reviews on all sorts of books. I really liked her post about Judy Blume's Forever. 3. Karin at Karin's Book Nook-I love Karin's background of book covers and her many awesome reviews and contests are fun to read. And Katie from Katie's Book Blog nominated for an award about my five addictions. I filled one of those out here, so check it out. P.S. If you're reading this Alea, I <3 you! Thanks again! :D So appreciate it! 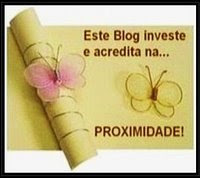 Your blog rocks! It deserved some love! Thanks!! :) You just made my day!